Parts Of Social-Sharing Site Reddit Go Dark In Apparent User Revolt : The Two-Way After the firing of a key figure at the website, moderators of many of reddit's most popular sections have gone private in apparent protest. An Internet insurrection is taking place on reddit, where moderators have shut down many of the social sharing site's most popular sections in an apparent protest over the dismissal of Victoria Taylor. Taylor was a key figure in reddit's extremely popular r/IAmA (Ask Me Anything) section, which brought in celebrities of all stripes — from actors to musicians and even President Obama — to answer questions submitted from the vast community. Taylor's role was often organizer, mediator and even transcriber for many of the AMAs. "Taylor, who joined the company in 2013 as its director of communications, was point-of-contact for many of the site's celebrity AMA sessions, relaying questions over the phone to high-profile figures and transcribing their responses. Her sudden departure, moderators say, leaves them unable to effectively set up and run AMA sessions. 'I am the mod in /r/science that organizes all of the science AMAs,' user 'nallen' writes, 'and I am going to have meaningful problems in the /r/Science AMAs; Victoria was the only line of communication with the admins.' "
As a result, the moderators of r/IAmA set the section to "private," effectively closing it to anyone but the moderators. Once word of Taylor's firing began to spread, moderators of other popular sections (called subreddits) that cover movies, science, gaming and a host of others, also went private, making much of reddit essentially useless to regular site visitors. Reddit users have been keeping track of what sections are closing on a live thread on the site, as well as a running list of when sites have returned. It is still unclear why Taylor was let go, and the company has not yet made an official statement on the matter. But in a post on the site, reddit co-founder Alexis Ohanian, who goes by the username /u/kn0thing, apologized for "how we handled communicating change to the AMA team this morning." In response to the blackout, Ohanian wrote that the message was "received loud and clear" and urged moderators to bring the shut-down sections back online. "Last month, the site upset many of its most ardent users when it closed down five subreddits on account of 'harassing' content contained within them. Those subreddits did violate Reddit's community policy, but the selective enforcement of the site's guidelines confused and angered many, since other subreddits — some of which contained arguably worse content — were left untouched while these five were closed." 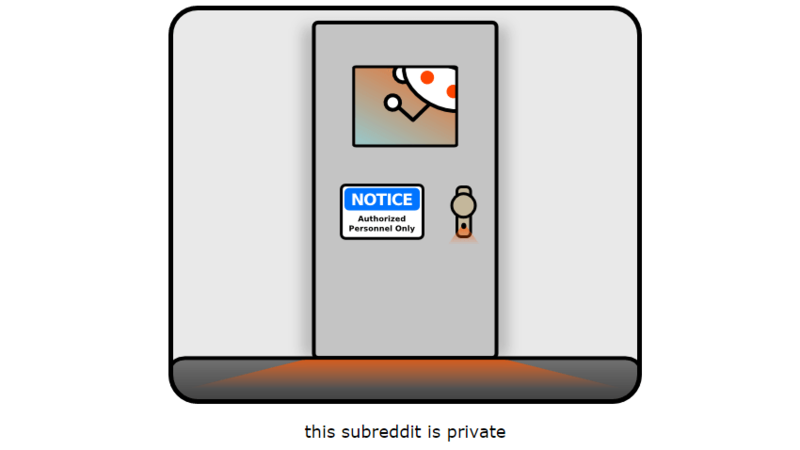 Those closings followed changes to the site's harassment policy, changes that put reddit's interim CEO, Ellen Pao, under fire from many users, with some even petitioning to have her step down from the company. "We are also making changes to reddit.com, adding new features like better search and building mobile web, but our testing plan needs improvement. As a result, we are breaking some of the ways moderators moderate. We are going to figure this out and fix it." The 10-year-old site, one of the busiest and commonly known as "the front page of the Internet," has more than 160 million monthly visitors. "We have taken the day to try to understand how Reddit will seek to replace Victoria, and have unfortunately come to the conclusion that they do not have a plan that we can put our trust in. The admins have refused to provide essential information about arranging and scheduling AMAs with their new 'team.' This does not bode well for future communication between us, and we cannot be sure that everything is being arranged honestly and in accordance with our rules. The information we have requested is essential to ensure that money is not changing hands at any point in the procedure which is necessary for /r/IAmA to remain equal and egalitarian. As a result, we will no longer be working with the admins to put together AMAs." Pao has released a statement apologizing for how the company "handled the transition." "We should have informed the moderators earlier and provided more detail on the transition plan," the interim CEO said. "We are working to make improvements and create the best experience for our users and we aren't always perfect ... we let you down yesterday."